Over Winter and Spring 2019, I have released part by part a series of posts about how a regional comprehensive university can accelerate campus-wide growth of innovation and entrepreneurship throughout all disciplines. Part 1 is the abstract and summary. In Part 2, we recount the history of Plymouth State University and outline its innovative and novel learning model. We review the structural problems that forced PSU to launch an audacious experiment, a university-wide learning model based on Innovation & Entrepreneurship and on Integrated Clusters. Part 3 examines PSU’s opportunity to become a more enterprising institution drawing upon cross-disciplinary programs with diverse missions. In Part 4, we see how the ‘Enterprising Mind-Set’ and ‘Design Habit of Mind’ can accelerate the institution’s transformation into an Entrepreneurial University. Part 5 introduces a learning model called TIDE — Transformative Innovation & Design Entrepreneurship — that allows students to design interdisciplinary majors such as Dance Entrepreneurship, Meteorological Innovation, History Business, Graphics Enterprises, and so forth. Part 6, still to be written at this date, outlines that trials and triumphs of PSU’s bold experiment in Integrated Clusters Pedagogy. A previous version of this article was originally presented at the 10th International Conference on Innovation, Entrepreneurship, and Small Business (IICIES 2018), Wellington, New Zealand, December 10–11, 2018. In New Zealand English. Author: Howard H. Frederick, Professor of Entrepreneurship, Innovation & Entrepreneurship Cluster, Plymouth State University, New Hampshire, USA. Purpose—The purpose is to discuss the implementation of a design-driven ‘enterprise education’ program within two contexts: (1) a novel learning model emphasising innovation and entrepreneurship within an American regional comprehensive university; (2) a novel learning structure eliminating departments, school, and colleges in favour of a cross-disciplinary approach—in favour of an Integrated Cluster model. Methodology/approach—The paper describes a novel entrepreneurship education learning model called Transformative Innovation & Design Entrepreneurship (TIDE). This singular case study reviews best practices in entrepreneurship education and proposes a course of study specific to an Integrated Cluster learning model. It focuses on the history and context of the case institution and concludes with a discussion of the problematics of implementing such a programme. Findings—Design-based entrepreneurship education is used widely to promote creativity-and innovation-driven regional economic development. 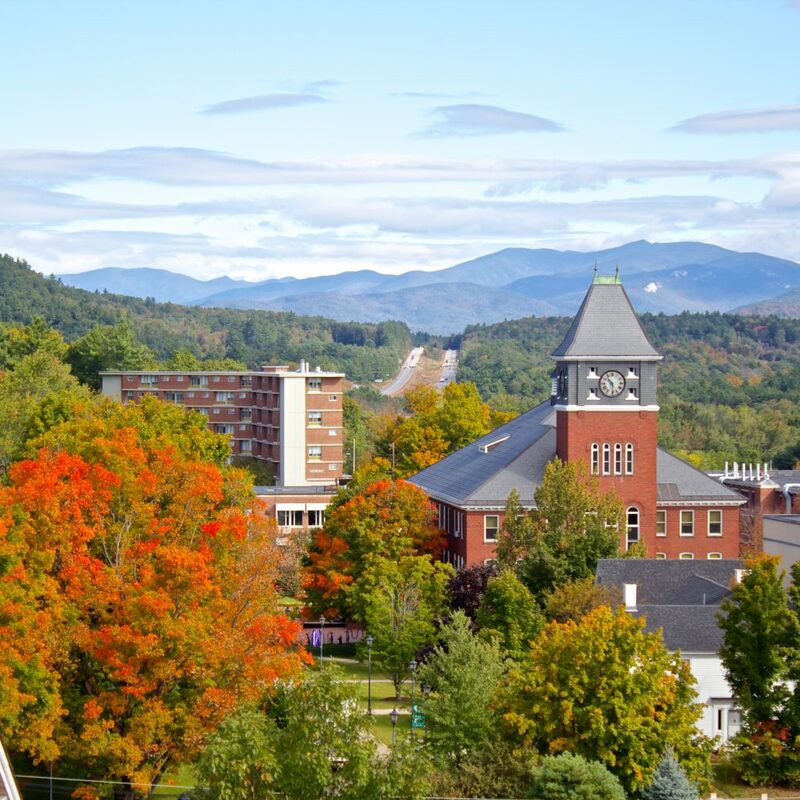 We profile the evolution of Plymouth State University, which has broken down academic silos by reorganizing the curriculum around cross-disciplinary Integrated Clusters. 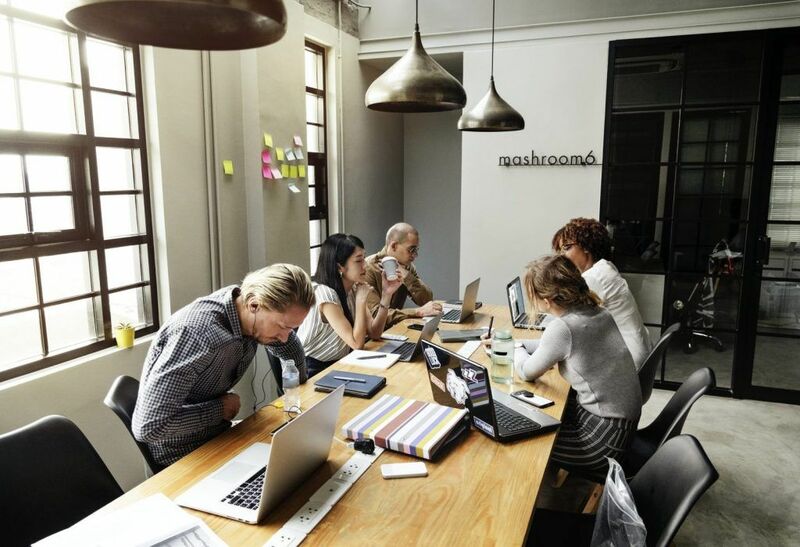 This is a case analysis of how an American regional comprehensive university can advance a new Learning Model that diffuses the tension between departments while advancing an innovation and entrepreneurship agenda. Keywords—Entrepreneurship education, design-driven pedagogy, transformative innovation, regional comprehensive university, land-grant university, start-up, integrated clusters, educational philosophy, practice-based approach. Here, we recount the institutional history of Plymouth State University and outline its innovative and novel learning model. This story is similar to other case analyses across the world that have examined the implementation design-based entrepreneurship education. The present author finds himself helping to build a design-based entrepreneurship education programme at Plymouth State University, an American state university in New Hampshire. Located in the Boston metropolitan area, Plymouth State University started as a teachers college, became a training ground for agriculture, teaching, business, and industry. PSU is now a regional comprehensive university (RCU), what some call a ‘people’s university’ in recognition of its mission to give lower-and middle-income students access to higher education, not to mention to support regional economies and civic and cultural life. About 430 regional comprehensive universities are spread across U.S. states and territories. Forty per cent of them are historically black. Regional comprehensive universities play important roles in injecting ‘high impact practices’ into the regional economy. They lower the barriers to admission to a higher education. They prize teaching and student-centered projects over research. They enroll the largest proportion of underrepresented—including veterans, adult learners, ethnic minorities, first-generation students, and immigrants. Regional comprehensive universities buoy area economies and respond to regional workforce needs. RCU’s confer 30% of business degrees, 26% of computer and information sciences degrees, 31% of foreign languages degrees, and 27% of mathematics degrees. Regional universities also act as incubators where entrepreneurs and business leaders can receive support and faculty expertise. ‘RCU Curriculum Transformation’ studies are emerging. In terms of PSU’s institutional context, at times, such universities are sometimes unfairly belittled as an “undistinguished middle child” of higher education. RCU’s have sought during the last twenty years a way out of that characterization. The wrong ‘solution’ was chosen: to elevate research standards or imitate elite institutions. A better solution would be to dedicate the mission to regional economic improvement. 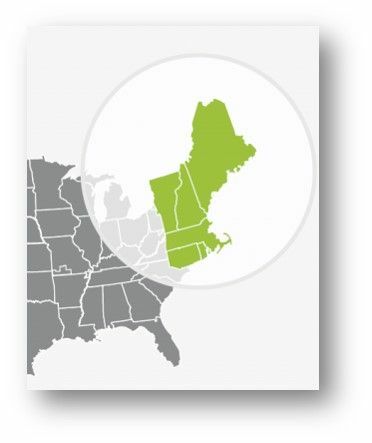 One solution would be for New Hampshire’s General Court (Legislature) to enhance support, so PSU can continue to pursue its distinctive missions of enlarging college access and serving the economic and civic needs of surrounding regions. In historical terms, PSU was founded in 1871 under the Morrill Act (1862) signed by President Abraham Lincoln during the American Civil War. The Morrill Act gave 30,000 acres of Federal land within each Congressional district, whose proceeds could be used to fund public colleges focused on ‘agriculture and the mechanical arts’. As part of the University System of New Hampshire (USNH), PSU is also part of the hundred-plus land-grant universities network, whose mission originally was—within the context of the liberal arts—to teach practical engineering, agriculture, and science and to accelerate the rise of America’s nineteenth-century ‘Industrial Revolution’. These institutions generated the transformative innovations needed to propel America’s emergence as economic world leader by 1900. Plymouth State University serves New Hampshire and the New England region (USA). In AY2018, PSU enrolled 4,100 undergraduates and 750 graduate students in undergraduate, masters, and doctoral programmes. Forty-three per cent of the student body is first-generation students and 39% of students are low income. Since 2015, structural problems in the US economy have seen PSU facing many challenges. At 43 years, New Hampshire has the second highest median age (nationally it is 38). The 18–64 workforce is abandoning the state. Meanwhile, New Hampshire has a very low unemployment rate. Expanding economic productivity, or even keeping it steady, appears difficult without an influx of young blood. New Hampshire is running out of teenagers. The University’s biggest problems are declining enrolments, rising tuition, and dwindling youth population. Student debt has soared, the result of loans to cover the difference. Devastating also is the fact that New Hampshire higher education has experienced years of cuts and flat funding, and the overall funding remains lowest per capita in the country, roughly equal to pre-Recession levels. With a background in complex systems and artificial intelligence, Birx had had experience with clusters at the University of Houston, where he served as vice president for research. ‘Clusters allow a regional comprehensive university to be first class nationally in education and research in the interdisciplinary areas in which the university and community have unique strengths’, Birx wrote. By 2016, the University launched an audacious experiment—one where no other college or university has dared to go—to implement university-wide Learning Model based around innovation and entrepreneurship. Biting first the bitter pill, the process saw redundancies, buyouts, and a ten-per cent cut in employees. A University Review and Strategic Allocation process (URSA) was followed by a University Re-invention Initiative (URI). Bearing in mind that smaller programs can play a key role in growing clusters, the process nonetheless deleted twenty undergraduate programs. Together with graduate program deletions, this represented a twenty-three per cent reduction in credit-bearing programmes. Especially daring was what happened next. 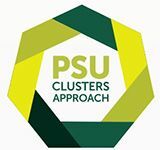 Plymouth State University announced organisational changes that abolished all academic departments, schools, colleges, deans and chairs in favour of an academic cluster model composed of seven interdisciplinary Integrated Clusters. Clusters are defined as a trans-departmental units of faculty, staff and students ‘who come together with the intention to engage in collaborative, interdisciplinary work that transcends or takes advantage of individual disciplines’. Plymouth State University is the only higher education institution in the United States that is ‘clusterising’ its curriculum. What does that mean in terms of curriculum? Students can still choose a traditional major, such as biology, but rather than being in a ‘biology department’, that major now falls within the ‘Exploration and Discovery’ cluster, which contains the former departments of Biochemistry, Cell and Molecular Biology, Chemistry, Computer Science, Environmental Biology, Information Technology, Interdisciplinary Studies, Mathematics, Meteorology, and Psychology. An example of synergies that this new learning model has created is in the Arts & Technology cluster. The Plymouth region is a very strong arts and theatre area. Equally, technology is a powerful player since the technology hub Boston is within driving distance. The novel idea in this cluster was that the Arts can complement Technology. Both are using new product design, manufacturing, entertainment, modelling and training. Together, arts and technology comprise the ‘STEAM disciplines’—science, technology, engineering, math—and “A” for “arts”. Advocates point to research showing how the STEAM approach enriches engineering education. For example, aeronautic engineers improve their practice by learning how to play a musical instrument. 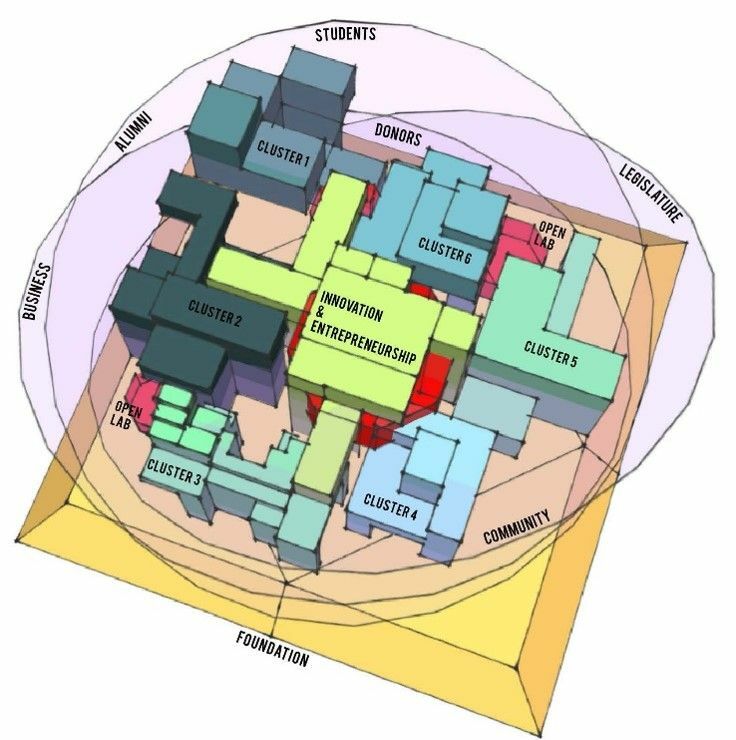 In the PSU Integrated Clusters Learning Model, clusters do overlap, but the ‘Innovation & Entrepreneurship’ (I&E) cluster overlaps all clusters (see Figure), meaning all students might be exposed to it. The underlying motivation of the new learning model is that all students—be they in art or zoology—can graduate with the ability to understand how to develop and implement entrepreneurial and innovative ideas, no matter what their discipline. First-Year Seminar experience introduces students to cluster learning focussed on a challenge question (‘wicked’ or ‘unscripted’ problems), carries out a team-based interdisciplinary project, explores learning and research methodologies, and relates how the cluster model works. Open Labs combine seemingly divergent strands of study by placing students in team project learning with external community and business leaders to create innovations and new discoveries. ‘Themed’ General Education. Previously students simply picked from a list. Now these courses span clusters and connect at the end through a Senior Capstone project. In their third or fourth year, students take an Integrated Capstone Experience that bookends the First-Year Seminar and integrates the depth and breadth of learning over the last four years. In this case study, PSU’s ‘predicament’ is an opportunity to become a more enterprising institution. Plymouth State University aims to build an ‘Entrepreneurial University’, a concept driven primarily by Burton R. Clark, the great sociologist of higher education, and Henry Etzkowitz, a leading scholar in innovation studies. An entrepreneurial university (with multiple missions for teaching, research, and economic and social development) can push a university like PSU in the continued progress of American ingenuity. Entrepreneurial universities have acquired the status of a key concept for smart regions. This is due to their role in harnessing education, research, and engagement for beneficial. An entrepreneurial university is one that contributes and provides leadership in creating entrepreneurial thinking, actions, institutions and capital of its students, staff, and faculty. 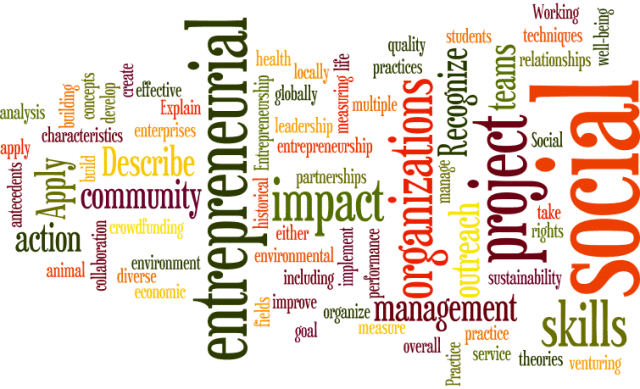 What do we know about entrepreneurship education? Best practice now comes from global contemporary and historic examples. Universities can and do build entrepreneurial ecosystems based on an ‘enterprising mindset’ learning model. The spread of entrepreneurship education as a learning model. One of this field’s paradoxes is that entrepreneurship is offered predominantly only in business schools, even though it does not really belong there. If entrepreneurship is siloed (segregated) in the business faculty, then it cannot reach out to the broad array of disciplines, with potentially more enterprising potential. Nonetheless, entrepreneurship education is now expanding into arts, sciences, design, engineering, and most any subject. Entrepreneurship education is becoming university-wide, drawing on cross-disciplinary programmes with diverse missions, rather than existing simply as a subspecialty in business programmes. What’s more, there is a correlation between entrepreneurship and education. Exposure to entrepreneurship education leads to higher levels of self-efficacy, which leads to entrepreneurial intent. Entrepreneurs are more likely to have received training and education than the rest of the working-age population. Entrepreneurship education is effective for business students and STEM students. More than one-third of business majors want to start a business, but one-sixth of non-business students also want to strike out on their own. Business students generally have the least enterprising ideas compared to students in arts, science, and elsewhere. Behaviourally, it also makes sense. Studies show a positive effect of entrepreneurship education on attitudes and perceived behavioural control. It significantly affects student attitudes towards entrepreneurial activity. Lackeus suggests that it triggers emotional events in students, which in turn develop entrepreneurial competencies. For example, requiring a student to create a venture or create value for someone leads to frequent open lab interaction, a sense of relevancy and meaning (as well as numerous incidents of frustration, anger and despair). These activities lead to the development of competencies such as tolerance of ambiguity, increased persistence, increased self-efficacy, and entrepreneurial passion. Entrepreneurship education is actually a philosophy of life. Nobel Prize winner in Economics Amartya Sen once said: ‘The highest expression of freedom is the ability to choose what kind of life one wants to lead. Enterprising activity is the objective and the primary means of enhancing human freedom. The usefulness of ‘value creation’ lies in the things that it allows us to do—the substantive freedoms it helps us to achieve. To build an entrepreneurial university, certain ecosystem components should be in place. 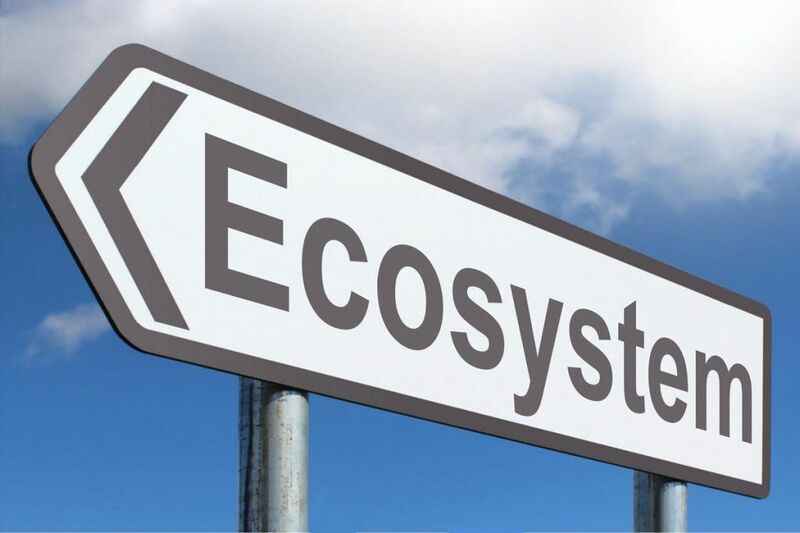 To use academic language, institutions must build and improve their University-Based Entrepreneurial Ecosystem(U-BEE), those interdependent actors and factors around a university that facilitate productive entrepreneurship. These components increase the ‘creative capital’ in the regional economy, and mobilise and transfer the enterprising mind-set to students and faculty throughout the University. An especially important component is women entrepreneurs’ and disadvantaged entrepreneurs’ participation, as those vary significantly from those of men. What are the components of PSU’s Entrepreneurial Ecosystem? In this section, we discuss the two ways of knowing that are central to any Innovation & Entrepreneurship learning model. They are mind-set and design. The enterprising mind-set is a habit of mind based on perception, cognition and mental process and used across the widest range of human activities to frame ill-defined yet complex problems and to solve them through products, ventures, services, business models. Another word for solutions is innovation. The enterprising mind-set plays a significant role in human evolution. Like their biological analogues, ‘entrepreneur-organisms’ develop and retain information useful to survival and progress. Risk-tolerant, growth-promoting traits generate an evolutionary advantage and their increased occurrence in the gene pool accelerated the pace of progress. However, risk-tolerant traits compete with inherited risk-averse traits, which equally can gain evolutionary advantage. This may all sound a bit Darwinian. But Joseph Schumpeter, the father of entrepreneurship theory, developed a theory of evolutionary entrepreneurship. To him, the material world evolves perpetually as entrepreneurs destroy equilibrium and introduce innovations. Evolutionary entrepreneurship is the spirit of creativity and inventiveness, of curiosity and daring, of calculated risk against gain. PSU’s Innovation & Entrepreneurship Cluster’s mission statement says: ‘By promoting the enterprising habit of mind, we design solutions to the widest range of social, educational, commercial, and environmental problems. We encourage our students to take risks, learn from failures, see opportunity in problems and act. We often use the two expressions ‘habit of mind’ and ‘mind-set’ interchangeably. A habit of mind is that critical attribute of intelligent human beings that seeks information but also knows how to act on it. It is a ‘disposition toward behaving intelligently when confronted with problems, the answers to which are not immediately known’. A mind-set has a more collective connotation. Margolis likens this to Kuhn’s Structure of Scientific Revolutions in which one mind-set supplants another. As far as Habits of Mind go, Art Costa’s productiveness greatly accelerated por thinking and research in mind-set theory, but he identified only sixteen habits of mind. 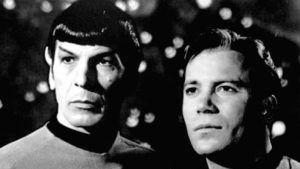 The crew of the Starship Enterprise is the quintessential entrepreneurial team. ‘Boldly go where no [one] has gone before’. ‘To explore strange new worlds, to seek out new life and new civilizations’. Enterprise—as in an ‘enterprising personality’—is the process of identifying, developing and bringing a vision to life, be it an innovative idea or simply a better way of doing something, in all fields of human endeavour. Think of how many self-employed professions there are—artists, photographers, musicians, designers, writers, financial advisors, analysts and interior designers. Beyond this, think of the creative and innovative people in arts, civil society, not-for-profits, community trusts and social enterprises. From artist to zoologist, some people have the enterprising mentality. In the literature, this is known as ‘Enterprise Education’. Enterprise Education is defined as the ‘process of developing students in a manner that provides them with an enhanced capacity to generate ideas, and the behaviours, attributes, and competencies to make them happen.’ An enterprising mindset is marked by imagination, initiative and readiness to undertake new endeavours; by a confident focus on a particular opportunity and by the ability to quickly act – all the while experimenting how to shape the opportunity within an social enterprise or business model. From the perspective of trait theory, the behaviours of taking initiatives, seeking opportunities, taking responsibility, taking risks beyond security, and having the tenacity to push an idea through to reality combine into a special perspective that permeates entrepreneurs from all walks of life. 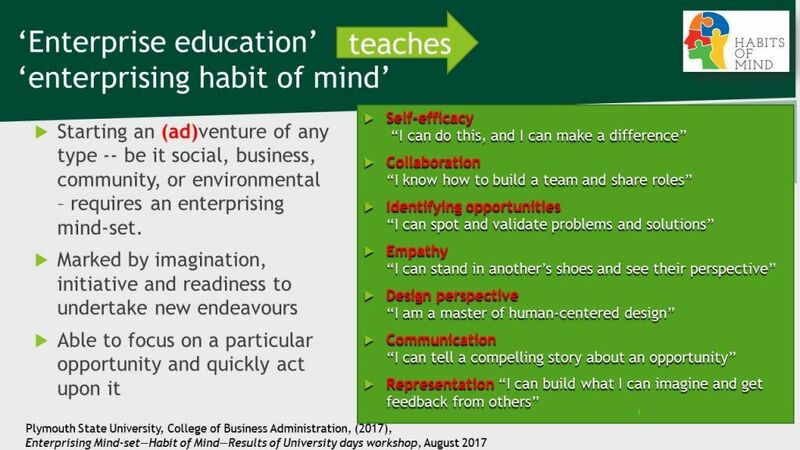 Ultimately, the success of a learning model based around Innovation & Entrepreneurship depends on whether student (and staff) develop and practice an ‘enterprising mind-set’ to creating ventures and (ad)ventures. The learning model simply provides interventions that generate supporting behaviours, attributes and competencies that are likely to have a significant impact on the employability of students. 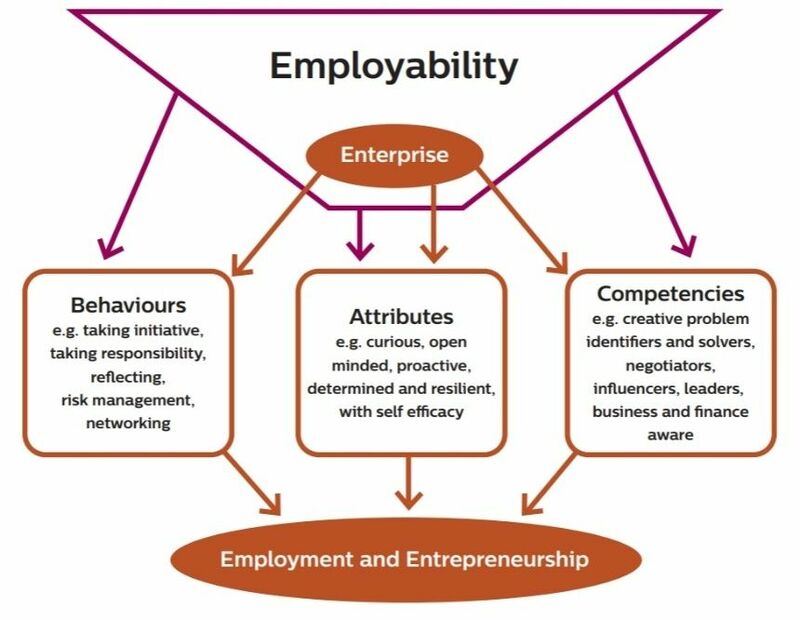 The most widely used definition of employability is ‘a set of achievements – skills, understandings and personal attributes – that make individuals more likely to gain employment and be successful in their chosen occupations’, which in turn benefits themselves, the workforce, the community and the economy. These four chosen habits of mind at PSU are in some cases amalgams of other schemas but particularly Art Costa’s ‘16 Habits of Mind’. For example, Purposeful Communication is similar to Costa’s ‘Thinking and Communicating with Clarity and Precision’; and Self-regulated Learning resembles ‘Remaining Open to Continuous Learning’. Studio Habit of Mind empowers artists to produce gainfully. Engineering Habit of Mind addresses solutions to problems or improvements to current technologies or ways of doing things. Graduate Student Habit of Mind is a mysterious guild secret and sorcery (Graff, 2003, 191). American University claims there are five distinct habits of mind: Creative-Aesthetic Inquiry, Cultural Inquiry, Ethical Reasoning, Natural-Scientific Inquiry, and Socio-Historical Inquiry. 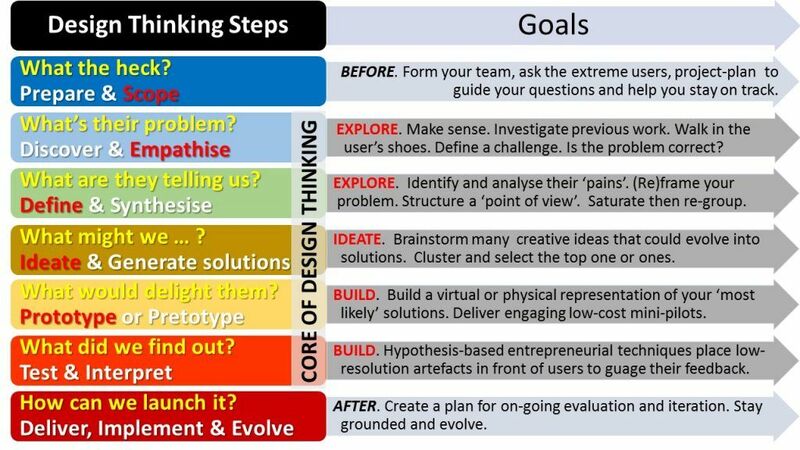 Design thinking is the approach to innovation that marries the core principles of design with best customer- or stakeholder-centric practice. Design thinking is the ultimate form of creative enterprise because it uses creativity and imagination to achieve breakthrough innovations that solve real problems and create value for actual people. When students should be exposed to Enterprise & Design, it enhances their understanding of everything and accelerates their desire to be gainful. What unites all great design thinkers is what famous American architect, systems theorist, designer, and inventor Buckminster Fuller called ‘anticipatory design science’, which he defined as human practice that would align men and women to the conscious design of our total environment, making Earth’s finite resources meet the needs of humanity without disrupting the ecological processes of the planet. What nobler cause than to use design and enterprise combined. Nobel laureate Herbert Simon agreed: ‘To design is to devise courses of action aimed at changing existing situations into preferred ones’. Since the early 1980s, design has been considered one of three ‘cultures of knowing’ in general education. The first two of course are science (as in physics or chemistry but also the social sciences) and the humanities (as in arts and history). Does not design develop help students develop abilities in solving real-world, ill-defined problems? This has now become a creed: ‘Design Thinking is the new Liberal Arts.’ Design thinking helps overcome the false dichotomy between the humanities and science because it prepares students for the active creation of the new realities that science and the humanities have imagined as possible. But today, the study of design can equally tackle intractable human concerns just a forcefully as science and humanities. Phenomenon being studied. While science studies the natural world, and humanities the realm of human experience, design’s major focus is the artificial, material world that surrounds us. Methods of enquiry. Science probes the natural world using controlled experiments, classification, and analysis. Humanities probes the human experience using criticism, evaluation, analogy, metaphor, and comparison. Design uses modelling, pattern-formation, synthesis, abductive logic, and convergent thinking to analyse and change the material world immediately surrounding us. Design thinking uses creativity and imagination to achieve breakthrough innovations that solve real problems and create value for actual people. It crosses disciplines and can be considered part of general higher education. Like science and the humanities, design requires and develops unique innate abilities in solving real-world, ill-defined problems and requires unique forms of cognitive development. In this section, we bring together all the strands of the foregoing on entrepreneurship, enterprising mind-set, and habits of mind into a pedagogy that appeals to any discipline, from art to zoology. 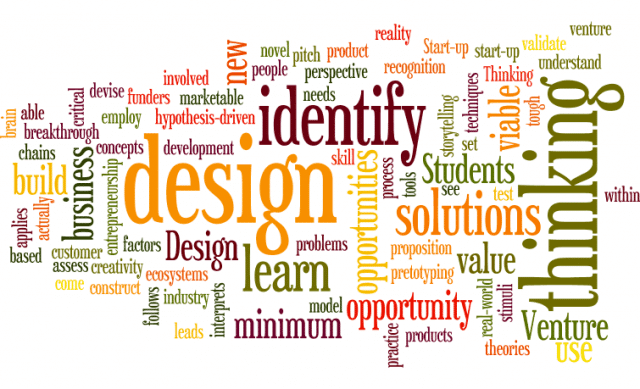 Transformative Innovation & Design Entrepreneurship (TIDE). PSU’s new TIDE program instils entrepreneurial will and enterprising mind-set into students of all majors. Essentially, TIDE’s model is Learning-through-creating-value-for-others. It teaches the needed design skills and entrepreneurial tools to create and grow ventures of any kind – art, social, business, and environmental ventures. The aphorism ‘a rising tide lifts all boats’ means that all craft (programs, disciplines) at Plymouth State University from art to women’s students can rise when the University launches an inter-disciplinary TIDE program. How do we ‘raise PSU’s tide’ and ‘lift’ all the ‘boats’ around us? We create change. We as educators do so by being the rising tide lifting all within it. Every discipline at Plymouth State University has enterprising students and faculty seeking to transform, innovate, design, and undertake. TIDE provides ways for all of PSU’s interdisciplinary clusters to design and start new ventures and adventures. Sustaining innovation props up and temporarily fixes systems and processes that are failing, but it does little for the longer term advancement. Disruptive innovation shakes things up but is eventually mainstreamed to help sustain existing systems. Only transformative innovation can deliver a fundamental shift towards new patterns of viability in tune with our aspirations for the future. TI accelerates a transformational effect on business, society, culture, and the natural environment. Parsing TIDE’s name, we have first ‘transformative innovation’ (TI), the most advanced form of innovation. Examples of transformative innovations are numerous: the plough, welfare state, radar, plastic, department store, infant formula, contraceptive pill, antibiotics, to mention a few. Enterprising colleagues and students throughout PSU—whatever their discipline—find common ground in designing transformative innovations and in launching life-changing ventures of all types. Beyond the campus, transformative innovation requires multi-actors such as firms, suppliers, universities and knowledge institutes, government, public interest groups and users.A good example of TI are the Sustainable Development Goals published in 2015. These Goals need far-reaching changes in technology and will give rise to entirely new sectors. Throughout the world, there is enough youthful entrepreneurial energy to build a world that overcomes the challenges that we face. The term ‘transformative’ describes those changes in the economy, environment, social welfare—indeed entire systems on Earth. The second part of the TIDE brand is DE. ‘Design-based Entrepreneurship’ is a pedagogical approach using project-based exercises that turn user-centred problems into opportunities. DE uses human-centred design optimised to exploit new opportunities within resource-constrained and uncertain contexts. ‘Through design we launch better start-ups. Through entrepreneurship we become better designers’. The roots of design-based entrepreneurship theory go back to two streams of literature: the design literature, dating back to the 1960s; and entrepreneurship theory literature, starting around the turn of the millennium. Combining the two approaches, we now speak of ‘designerly ways of venturing’ in the material world of artefacts using pattern formation, synthesis and modelling. Design entrepreneurs value practicality, ingenuity, empathy and appropriateness. The designerly mind-set is an extension of the enterprising mind-set. Design thinking requires empathy. Empathy means the ability to put yourself into your customer’s/client’s/stakeholder’s shoes to understand problems from their perspective, to uncover their pains and problems (including some pains they didn’t even know they had), and to generate unexpected solutions (including ones that they had not thought of). ‘Empathic’ means having a sensitivity to other people’s pains and emotions. In terms of logic, design is quite distinct from science and humanities in its approach to knowledge. Design thinking uses modelling, pattern-formation, synthesis, abductive logic, and convergent thinking to analyse and change the material world immediately surrounding us. New ventures come into being not by traditional logic (deduction or induction) but through ‘logical leaps of the mind’, known as abductive logic. This logic is appropriate when you are confronted with an incomplete set of observations and you have to make hypotheses using the best information available. Then you test your hunches until you have the likeliest possible explanation for the group of observations. Cross calls this ‘design intelligence’. Diverse pathways lead to becoming a social, business, or environmental entrepreneur. Foundational knowledge of entrepreneurship and innovation, creation of new ventures, and the history and evolution of entrepreneurship help students find their path to entrepreneurship. Surveying principles, theories, and practice of entrepreneurship, students build understanding of the key tasks, skills, and attitudes to become a successful entrepreneur. Design thinking applies creativity to come up with novel solutions to tough problems. Students learn to identify opportunities and practice design thinking to construct ‘minimum viable products.’ Venture start-up follows when design thinking leads to marketable solutions. Students learn to build and validate a value proposition, devise a business model, and employ storytelling to pitch their solutions to funders. Working in teams, students practice entrepreneurial skills to create, organize, and manage a project with social impact, either globally or locally. The overall goal is to take entrepreneurial action to improve quality of life and economic well-being through service organizations in fields as diverse as the environment, animal rights, health, and community building. Students learn how to deal with growth challenges in settings using analytical skills, techniques, and decision-making tools. Using simulation and case analysis, participants learn how to face new issues and decisions as they unfold over the life-cycle of a company/product. 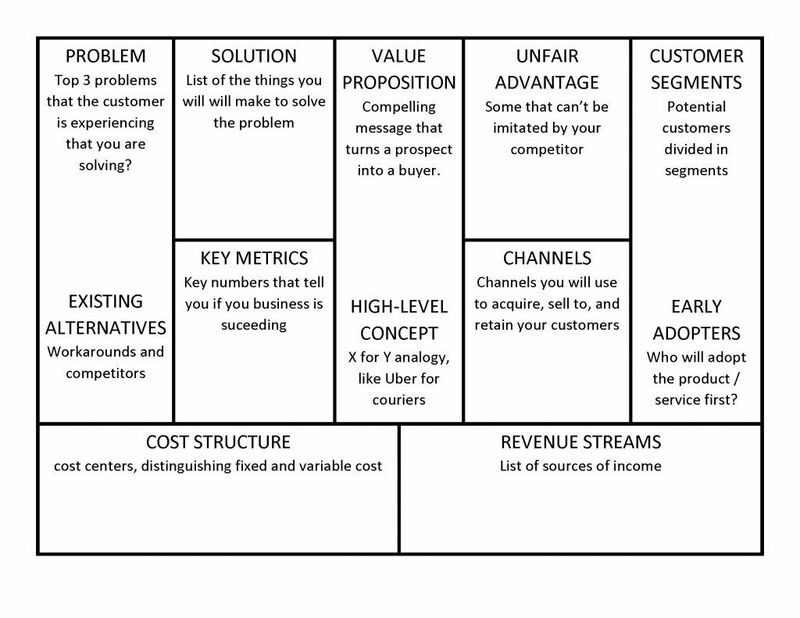 Students write a ‘Lean Business Plan’ and analyse it from both the entrepreneur and investor perspectives. Students build and validate a repeatable and scalable business model based on transformative innovation and value creation using especially previous knowledge in design, marketing, and financial feasibility. 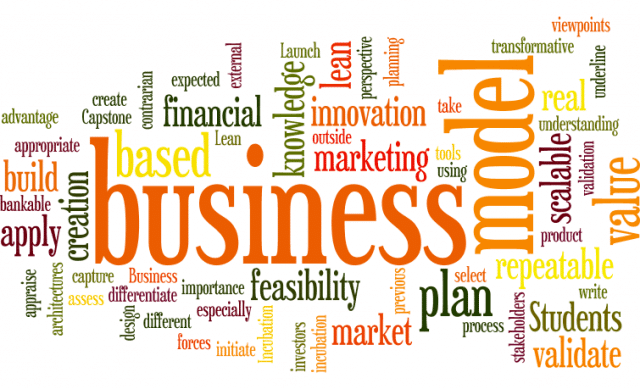 Students are expected to write a ‘bankable’ lean business plan, and initiate the process of incubation based on the validation of the model in real market. Entrepreneurship educators do not necessarily come from the business disciplines; they can come from any discipline. These are the teachers who have repeatedly helped students solve their ‘wicked’ problems. TIDE uses new and different formative and summative approaches to assessment. In designing and delivering assessment, enterprise educators generally use exercises to solve what entrepreneurs call ‘pains’. Look around you and imagine how many things are solving your pains and frustrations. Design reduces pain. Design satisfies need. Design creates value. Design changes behaviour. Teachers generally try to increase the experiential anxiety as these exercises proceed over time. At PSU, through the Open Labs, students are challenged to create value for others by asking ‘for whom should we create value today’? Teachers use a variety of canvasses to measure opportunity recognition, value proposition, validation, design of a minimal viable product, business modelling, and storytelling. These one-page simplify and facilitate teachers’ practice of progressive education, which they sometimes perceive as too complex to manage and too difficult and risky in terms of student assessment and potential neglect of important traditional education values. We expect TIDE to significantly increase PSU’s enrollment numbers through new majors, and increase in transfer students. We also expect TIDE will positively affect our retention rates. We will likely see an increase in double majoring, increasing the interdisciplinary development of our majors. With the course offerings all at 4 credits, more high impact learning experiences are built into each course through open lab opportunities to connect with practitioners in the field, including alumni. However, students should note that it does require completion of all four content area courses, and an internship. We do expect that with the introduction of this major there will be a shift of students from other disciplines who are venturing, be it social, environmental, or business. We have every expectation that enrollments will increasing over four years. We also expect to see an upward trend in students who are double-majoring. We anticipate generating cohorts of enterprising students to launch their own ventures at PSU, be it social, business, or environmental. We can anticipate that at graduation, about 20% of PSU TIDE students will be running their own ventures, and this figure will grow with the years. Our forward metrics include alumni-founded companies, new jobs created and retained. We document the number of start-ups and new products introduced. We expect an increase in faculty research in the fields of innovation and design. We also expect follow-on funding from government and private sources. All of this will benefit the APEX Accelerator as well. Our existing faculty within the I&E cluster has the experience and capability of creating and delivering this new program. No additional faculty lines are expected to be required initially to implement our 2-year plan. However, as enrolments increase over the next two-three years, we will need another full-time faculty to teach TIDE’s courses. No new library resources are required. No additional technology tools or infrastructure is needed to accommodate these curriculum changes. Agriculture: Attrition in family farms. Shrinking growing seasons due to climate change >> High-tech, hyper-local, all-year permanent agriculture behind Prospect Hall. Future Shock: Star, Work, Play; Cryptocurrency marketplace in NH is huge; Free State Project “Liberty in Our Lifetime”; driverless cars. In October 2017, the CoBA Board of Advisors discussed the change in the Core of Business Education and its impact on employers. Unanimously, they agreed on 16 Success Factors that they seek. Entrepreneurial cognition maps well to Success Factors identified by Board of Advisors. See Video ‘What skills, abilities and mind-sets do our graduates need when they enter the workforce? ‘As an entrepreneur and graduate of Plymouth State University, I believe the TIDE program would be very beneficial for today’s students. The motive of self-starting, motivating and directing yourself is crucial in today’s business world – whether or not students choose to pursue a full entrepreneurial path following college, the skills learned in his program will give students an advantage in their field. The core principles of entrepreneurship can be applied to any field of business and I believe it’s crucial for PSU Students to have a base understanding/development of entrepreneurial skills to thrive in today’s quickly changing business frontier.’ Ryan Chadwick, Entrepreneur, PSU Business Advisory Board, Grey Lady Inc.
‘Howard Frederick, without a doubt, a leading scholar in entrepreneurship education, carefully designs this program that provides an extraordinary breakthrough improving and elucidating our current conceptions of “traditional entrepreneurship higher education program”. The Bachelor of Science in Transformative Innovation & Design Entrepreneurship (TIDE) provides a state-of-the-art approach not only based on a strong conceptual analysis but also, and more relevant, practical implementation of entrepreneurial mind-set for all the students that will undertake the unique experience to be part of TIDE. For University-Based Entrepreneurial Ecosystem, TIDE is a key component.’ Dr Jose Ernesto Amorós, National Director of Doctoral Programs at EGADE Business School, Tecnológico de Monterrey, Mexico City (ranked No. 1 in Latin America). ‘The proposed Bachelor of Science in Transformative Innovation & Design Entrepreneurship represents both contemporary thinking and practice in the domain of entrepreneurship education. As one on the world’s leading educators in our domain, I have no doubt Howard and his team with indeed enable students to become the sole proprietor of their destinies through supporting a process of calculated adventuring.’ Dr Colin Jones, Senior Lecturer in Entrepreneurship, Queensland University of Technology. As a highly respected academic colleague and Entrepreneur, Howard Frederick has been a trailblazer in Entrepreneurship education in New Zealand, Australia, Mexico, Europe and the US. It does not come as a surprise therefore that his proposed Bachelor of Science in Transformative Innovation & Design Entrepreneurship (TIDE) program has all the elements of a winning formula for Entrepreneurship in action at academic level. The program is both very comprehensive in theory and layout as well as highly practical in implementation and delivery and I have no doubt that Howard and his team make it into a big success. Dr. Hermina Burnett, Adjunct Professor, Murdoch University School of Management and Governance; and Lecturing Fellow, University of Adelaide, both of South Australia. ‘I thank you for allowing me the opportunity to endorse this course at Plymouth State University. I have perused the proposal documents, and happy to reflect on the significant and professional approach to the development of this entrepreneurship education program. I am of the professional opinion that the course (TIDE) aligns well with the strategic direction of the PSU Integrated Clusters (Arts, Health, Justice, Tourism, Entrepreneurship and Innovation). In particular, the mission and value, rationale and alignment to PSU mission and goals, COBA strategic plan and URI University Re-investment initiative fit appropriately and enhance an enterprising mindset, transformative innovation and design entrepreneurship approach. The proposed student learning outcomes are well articulated through the introduction of 5 new subjects (from Foundations to Senior Capstone), and content, pedagogy and assurance of learning are demonstrated through detailed lesson plans and overviews. The transformational innovation and design entrepreneurship is certainly a novel approach to developing an enterprising mindset! This programs reflects upon the experience and internationalisation of Professor Frederick’s expertise in the entrepreneurship domain, certainly a reflection of best practice globally. In conclusion, my congratulations on developing a well-rounded and complete Bachelors course in entrepreneurship.’ Dr Alex Maritz, Professor of Entrepreneurship, La Trobe University. ‘The program presented is comprehensive yet appears sustainable in terms of the resources and modest number of new courses proposed. The justification for extending on Plymouth State University’s existing entrepreneurship and innovation eco-system is well argued, in itself blending innovative learning approaches with well-established pedagogy for entrepreneurship education, focused particularly on developing students’ self-efficacy in the field. I have personally known Professor Frederick since we first met in the late 1990s. For over a decade we collaborated successfully introducing postgraduate, undergraduate and support programmes in innovation-based entrepreneurship in New Zealand. He has continued his success with novel and effective programme introductions in Australia, Mexico, and the United States, whilst also producing a widely adopted international teaching text, now in its 5th edition. I have every confidence in endorsing the program’s success and the team that Howard would recruit to achieve implementation. Dr Peter J Mellalieu, Industrial Associate Professor, Otago Polytechnic, Auckland International Campus. TIDE’s content matches best practice globally. TIDE’s design draws heavily on North America’s 14th leading school of innovation and entrepreneurship, Monterrey (Mexico) Institute of Technology (ITESM). Each semester, Tec’s 120 entrepreneurship professors teach the subject to 8,000 students on 31 campuses. Thirty per cent of students graduate with a sales-generating business, and 68 per cent of alumni own a business within 25 years of graduation. Tec’s learning model also shows many other downstream benefits, such as alumni giving and loyalty, industry alignments, profitable incubators (including social incubators), and outstanding student recruitment. Other colleges achieve similar metrics. Babson College shows that taking two or more core entrepreneurship elective courses positively influenced the intention to become an entrepreneur both at the time of graduation and long afterward. University of Arizona found that entrepreneurship students are three times more likely to be self-employed, have annual incomes 27 per cent higher, and own 62 per cent more assets than other graduates. At the National University of Singapore, entrepreneurship graduates have three times the propensity to start their own business or to be employed in small start-upcompanies, compared to their peers. At the University of Southern California, an average of 37 per cent of students in entrepreneurship launched businesses by the time they graduated. TIDE is central to PSU’s vision to become a Destination University of Innovation. Our students develop ideas and solutions to world problems and become society’s global leaders within interdisciplinary strategic clusters, open labs, partnerships and through entrepreneurial, innovative, and experiential learning.Consistent with the general mission of Plymouth State University, TIDE seeks to produce well-rounded graduates who are equipped both to continue life-long learning, and enter the work force, as employers or employees. In addition, TIDE serves the surrounding community by collaborating with local and regional agencies to provide academic and research support. The fields of Entrepreneurship and Innovation engage exceptionally well with a variety of other disciplines. The Innovation & Entrepreneurship Cluster applies to all other clusters. TIDE is a candidate ‘cluster major’ creating an integrated program of study. But it is important to note that the present submission is a new major within the School of Business. TIDE has the potential for diverse, interdisciplinary toolkits, projects, service learning, applied labs, assistantships, travel, research, practicum, internships, and special topics. Revise the Small Business Entrepreneurship option (in light of new hires), embedding social entrepreneurship in the curriculum and setting the stage for bringing entrepreneurship across the university curriculum.The decision was taken to invest in the undergraduate Small Business/Entrepreneurship option of Management. In spring 2017, the search for two faculty positions in Innovation and Entrepreneurship was successful in hiring one new faculty member who leads curricular development in the SB/E program. TIDE’s strategic direction and program characteristics can be seen in its URI submission, which CoBA faculty votedunanimously on March 7, 2018 toendorse. TIDE is listed as Idea #127 in the URI Program Ideas document with an Action Path of 4 (further evaluation is indicated). Goals addressed were Recruitment (Program Enrollment, Alignment, etc. ), Engagement (Retention, Persistence, etc. ), Graduation (Timeliness, Connections/2+2, etc. ), and Efficiency (Financial, Engaging Students, Course Enrollment, etc. )In the cumulated URI 2018 Program Ideas document, ‘entrepreneurship’ was mentioned repeatedly. This included Health Education, Art History, Arts & Technologies, Music Technology and Music Entrepreneurship, Dance Entrepreneurship. We confident that other disciples will follow. As part of the grand curricular change, the new School of Business ‘Foundations Core’ is being re-designed with features such as alignment with general education “Connections”, a novel Signature Experience, team teaching, innovative course scheduling, and a new Business 360 gateway course. TIDE satisfies the ACBSP Accreditation Council for Business Schools and Programs’ standards related to the Undergraduate Common Professional Component, whereinbusiness programs recognize the interdisciplinary nature of knowledge when ‘the process of answering a question, solving a problem, or addressing a topic is too broad or complex to be dealt with adequately by a single (academic) discipline’. CPC seeks to promote innovation in the business curriculum and to challenge the outdated separation of disciplines. Cruz, Laura, Gillian D. Ellern, George Ford, Hollye Moss, and Barbara Jo White. “Navigating the Boundaries of the Scholarship of Engagement at a Regional Comprehensive University.” Journal of Higher Education Outreach and Engagement 17, no. 1 (2013): 3–26; McMahan, Shari. “Creating a Model for High Impact Practices at a Large, Regional, Comprehensive University: A Case Study.” Contemporary Issues in Education Research 8, no. 2 (January 1, 2008): 111–16. https://eric.ed.gov/?id=EJ1058165; Selingo, Jeffrey. “Regional Public Colleges—the ‘Middle Children’ of Higher Ed—Struggle to Survive.” Washington Post, February 9, 2015. https://www.washingtonpost.com/news/grade-point/wp/2015/02/09/regional-public-colleges-the-middle-children-of-higher-ed-struggle-to-survive/;Somers, Patricia. “The Freshman Year: How Financial Aid Influences Enrollment and Persistence at a Regional Comprehensive University.” College Student Affairs Journal 16, no. 1 (January 1, 1996): 27–38. https://eric.ed.gov/?id=EJ546955. Orphan, Cecilia. “Why Regional Comprehensive Universities Are Vital Parts of U.S. Higher Education | Scholars Strategy Network.” Accessed December 30, 2018. https://scholars.org/brief/why-regional-comprehensive-universities-are-vital-parts-us-higher-education; Cruz, Laura, Gillian D. Ellern, George Ford, Hollye Moss, and Barbara Jo White. “Navigating the Boundaries of the Scholarship of Engagement at a Regional Comprehensive University.” Journal of Higher Education Outreach and Engagement 17, no. 1 (January 1, 2013): 3–26. http://openjournals.libs.uga.edu/index.php/jheoe/article/viewFile/980/651; Hickey, Anthony Andrew, and Kendall W. King. “A Model for Integrating Research Administration and Graduate School Operations at a Regional Comprehensive University.” Research Management Review 2, no. 1 (January 1, 1988): 31–44. https://eric.ed.gov/?id=EJ390845; McMahan, Shari. “Creating a Model for High Impact Practices at a Large, Regional, Comprehensive University: A Case Study.” Contemporary Issues in Education Research 8, no. 2 (January 1, 2008): 111–16. https://eric.ed.gov/?id=EJ1058165 . Somers, Patricia. “The Freshman Year: How Financial Aid Influences Enrollment and Persistence at a Regional Comprehensive University.” College Student Affairs Journal 16, no. 1 (January 1, 1996): 27–38. https://eric.ed.gov/?id=EJ546955. Selingo, Jeffrey. “Regional Public Colleges—the ‘Middle Children’ of Higher Ed—Struggle to Survive.” Washington Post, February 9, 2015. https://www.washingtonpost.com/news/grade-point/wp/2015/02/09/regional-public-colleges-the-middle-children-of-higher-ed-struggle-to-survive/. Patel, Vimal. “Want to Revamp Your Curriculum? Here’s How to Avoid a Quagmire.” The Chronicle of Higher Education, March 4, 2018. https://www.chronicle.com/article/Want-to-Revamp-Your/242725. In 2018, TIDE submitted a University Reinvention Initiative (URI) Program Report, endorsed unanimously by then CoBA faculty, Many PSU URI proposals mentioned ‘entrepreneurship’ in their credo, including Eating disorders, Human Relations, Art History, Bio-chemistry, Music, Public Relations (e.g. The Business of Eating Disorder (Mardie Burckes-Miller), The Business of Art (Sarah Parrish), Bio-chemistry and Innovation (Jeremiah Duncan), Arts and Innovation, Music Entrepreneurship (Rik Pfenniger)). TIDE received a “4” (Further Evaluation is Indicated) in the URI review. A score of “4” means ‘proceed or continue developing your detailed strategy and timeline and keep us informed (academic affairs and provost council) of your progress’. Edudemic Staff. “STEM vs. STEAM: Why The ‘A’ Makes a Difference | Edudemic,” January 11, 2015. http://www.edudemic.com/stem-vs-steam-why-the-a-makes-all-the-difference/; Gardiner, Bonnie. “Picking up STEAM: How the Arts Can Drive STEM Leadership.” CIO (13284045), October 6, 2015, 1–1. https://www.cio.com.au/article/585493/picking-up-steam-how-arts-can-drive-stem-leadership/; Guyotte, Kelly W., Nicki W. Sochacka, Tracie E. Costantino, Joachim Walther, and Nadia N. Kellam. “Steam as Social Practice: Cultivating Creativity in Transdisciplinary Spaces.” Art Education 67, no. 6 (November 1, 2014): 12–19. https://www.tandfonline.com/doi/abs/10.1080/00043125.2014.11519293; Piperopoulos, Panagiotis, and Dimo Dimov. “Burst Bubbles or Build Steam? Entrepreneurship Education, Entrepreneurial Self-Efficacy, and Entrepreneurial Intentions.” Journal of Small Business Management 53, no. 4 (October 1, 2015): 970–85. https://doi.org/10.1111/jsbm.12116; Sochacka, Nicola W., Kelly. W. Guyotte, and Joachim Walther. “Learning Together: A Collaborative Autoethnographic Exploration of STEAM (STEM + the Arts) Education.” Journal of Engineering Education 105, no. 1 (January 2016): 15–42. https://onlinelibrary.wiley.com/doi/full/10.1002/jee.20112; Watson, Andrew D., and Gregory H. Watson. “Transitioning STEM to STEAM: Reformation of Engineering Education.” Journal for Quality & Participation 36, no. 3 (October 2013): 1–4. https://www.academia.edu/8766909/Transitioning_STEM_to_STEAM_Reformation_of_Engineering_Education. Collins, A. (n.d.). How playing an instrument benefits your brain—Anita Collins. Retrieved October 15, 2018, from https://ed.ted.com/lessons/how-playing-an-instrument-benefits-your-brain-anita-collins; Clapp, E. P., & Jimenez, R. L. (2016). Implementing STEAM in maker-centered learning. Psychology of Aesthetics, Creativity, and the Arts, 10(4), 481–491. https://doi.org/10.1037/aca0000066; Peppler, K., & Wohlwend, K. (2018). Theorizing the Nexus of STEAM Practice. Arts Education Policy Review, 119(2), 88–99. In the cross-university context, any student can be enterprising and launch ventures. It of course includes business ventures but also social, environmental, and scientific ventures. But students can also launch (ad)ventures, such as an Outdoor Education student who organizes a twenty-person climb up Mt Kilimanjaro. That trip may not be an incorporated business but still will required business skills. Birx, Donald. “The Four Tools of Clusters—Office of President.” Accessed October 15, 2018. https://campus.plymouth.edu/president/the-four-tools-of-clusters/. Lackéus, Martin, Mats Lundqvist, and Karen Williams Middleton. “Bridging the Traditional-Progressive Education Rift through Entrepreneurship.” International Journal of Entrepreneurial Behavior & Research 22, no. 6 (September 5, 2016): 777–803. https://doi.org/10.1108/IJEBR-03–2016–0072; Lackéus, Martin, and Karen Williams Middleton. “Venture Creation Programs: Bridging Entrepreneurship Education and Technology Transfer.” Education + Training 57, no. 1 (February 9, 2015): 48–73. https://doi.org/10.1108/ET-02–2013–0013; Lackéus, Martin. “Entrepreneurship in Education: What, Why, When, How.” OECD, 2015. https://www.oecd.org/cfe/leed/BGP_Entrepreneurship-in-Education.pdf. Galor, O., and S. Michalopoulos. “Evolution and the Growth Process: Natural Selection of Entrepreneurial Traits.” Journal of Economic Theory 147, no. 2 (2012): 759–80. https://doi.org/10.1016/j.jet.2011.04.005; Galor, Oded, and Stelios Michalopoulos. “The Evolution of Entrepreneurial Spirit and the Process of Development,” 2006. http://papers.ssrn.com/sol3/papers.cfm?abstract_id=996684. ; Mokyr, Joel. The Lever of Riches: Technological Creativity and Economic Progress. Oxford University Press, 1992; Wennekers, S., and R. Thurik. “Linking Entrepreneurship and Economic Growth.” Small Business Economics 13, no. 1 (1999): 27–56. https://link.springer.com/article/10.1023/A:1008063200484. His famous Theory of Economic Development (1911, transl. 1934), in German was Theorie der Wirtschaftlichen Entwicklung.In German, ‘Entwicklung’ also means evolution. Indeed, the root verb entwickeln literally means to unwrapping or unfolding, as in a flower. Translators of the day preferred ‘development’ because it had a French equivalent in ‘développement’. Schumpeter, Joseph A., and John E. Elliott. The Theory of Economic Development: An Inquiry into Profits, Capital, Credit, Interest, and the Business Cycle. New edition edition. New Brunswick, N.J: Transaction Publishers, 1982 (1911). Peter, K., & Mantz, Y. (2003). Assessment, Learning And Employability. McGraw-Hill Education (UK). Brown, T. (2008, June 1). Design thinking. https://hbr.org/2008/06/design-thinking; Brown, T. (2009). Change by design: How design thinking transforms organizations and inspires innovation. New York: HarperBusiness; Chen, S., & Venkatesh, A. (2013). An investigation of how design-oriented organisations implement design thinking. Journal of Marketing Management, 29, 1680–700; Martin, R. L. (2009). The design of business: Why design thinking is the next competitive advantage. Harvard Business Press; Martin, R. L., Christensen, K., & Martin, R. L. (Eds.). (2013). The design of business. In Rotman on design: The best on design thinking from Rotman magazine (pp. 15–19). University of Toronto Press. Fuller, R. B. (1963). A comprehensive anticipatory design science. In No more secondhand god: And other writings (pp. 75–104). Southern Illinois University Press; Fuller, R. B. (n.d.). Eight strategies for comprehensive anticipatory design science. The Buckminster Fuller Institute. https://www.bfi.org/design-science/primer/eight-strategies-comprehensive-anticipatory-design-science; Fuller, R. B. (1969). Operating manual for spaceship earth. Carbondale: Southern Illinois University Press. http://designsciencelab.com/resources/OperatingManual_BF.pdf; Simon, H. A. (1969). The sciences of the artificial. MIT press. https://monoskop.org/images/9/9c/Simon_Herbert_A_The_Sciences_of_the_Artificial_3rd_ed.pdf. Cross, N. (1982). Designerly ways of knowing. Design Studies, 3, 221–7. See also Cross, N. (2006). Designerly ways of knowing. Springer. https://link.springer.com/content/pdf/10.1007/1–84628–301–9_1.pdf; Cross, N. (2001). Designerly ways of knowing: Design discipline versus design science. Design Issues, 17(3), 49–55; Cross, N. (2007). From a design science to a design discipline: Understanding designerly ways of knowing and thinking. Design ResearchNow, 41–54; Rittel, H. W. J., & Webber, M. M. (1973). Dilemmas in a general theory of planning. Policy Sciences, 4, 155–69; Buchanan, R. (1992). Wicked problems in design thinking. Design Issues, 8, 5–21. http://www.jstor.org/stable/1511637 . Entrepreneurial Will means eagerly committing to expend great energy and take calculated risks to create value. Enterprising Mind-Set means marked by imagination, initiative and readiness to undertake new endeavors. Transformative Innovations create opportunity spaces for entrepreneurs and give rise to entirely new industries. Design Entrepreneurship combines creativity and imagination to achieve break-through solutions to ill-defined yet complex problems. The origins of the phrase is in dispute. Senator John F. Kennedy’s speechwriter Theodore Sorensen writes that the aphorism stems from JFK’s tenure in the Senate, when Sorensen noticed that ‘the regional chamber of commerce, the New England Council, had a thoughtful slogan: ‘A rising tide lifts all the boats.’ Sorensen, Ted. Counselor: A Life at the Edge of History. Reprint edition. Harper Perennial, 2009, p. 227; “Etymology – Origin of ‘a Rising Tide Lifts All Boats.’” English Language & Usage Stack Exchange. Accessed February 19, 2019. https://english.stackexchange.com/questions/230520/origin-of-a-rising-tide-lifts-all-boats; Quora. “How to Lift Boats by Raising Your Tide.” Nina Amir (blog), December 10, 2018. https://ninaamir.com/lift-boats-raising-your-tide/; Wikipedia. “A Rising Tide Lifts All Boats.” In Wikipedia, January 30, 2019. https://en.wikipedia.org/w/index.php?title=A_rising_tide_lifts_all_boats&oldid=880887294. Brownstein, Deborah. “2017 ACBSP Reaffirmation Report,” 2017. https://campus.plymouth.edu/business/wp-content/uploads/sites/55/2017/07/07.15.2017-PSU-ACBSP-Reaffirmation-Report.pdf. BBC World Service. “50 Things That Made the Modern Economy.” BBC. Accessed February 19, 2019. https://www.bbc.co.uk/programmes/p04b1g3c/episodes/downloads. Bright, David S., Ronald E. Fry, and David L. Cooperrider. “Transformative Innovations for the Mutual Benefit of Business Society, and Environment.” BAWB Interactive Working Paper Series 1, no. 1 (2006): 17–31 http://bit.ly/2EijawA; Leicester, Graham. 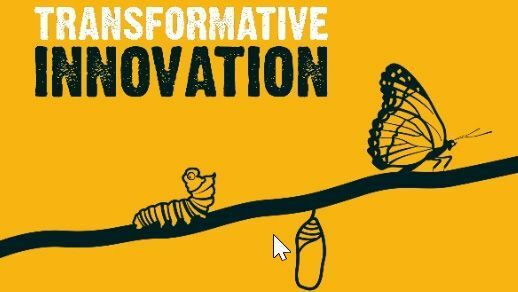 Transformative Innovation: A Guide to Practice and Policy. Axminster, England: Triarchy Press Ltd, 2016. http://www.gbv.de/dms/zbw/863658369.pdf; International Futures Forum. “Transformative Innovation,” 2018. http://www.internationalfuturesforum.com/transformative-innovation. Rosenzweig, Gerard, and Stav Tellis. How Transformative Innovations Shaped the Rise of Nations: From Ancient Rome to Modern America. London, UK ; New York, NY: Anthem Press, 2018. http://www.anthempress.com/how-transformative-innovations-shaped-the-rise-of-nations. Schot, J., and E. Steinmueller. Framing Innovation Policy for Transformative Change: Innovation Policy 3.0. SPRU Draft, 2017. http://www.johanschot.com/wordpress/wp-content/uploads/2016/09/SchotSteinmueller_FramingsWorkingPaperVersionUpdated2018.10.16-New-copy.pdf. Wahl, Daniel Christian. “Why Choose Transformative over Sustaining Innovation?” Medium (blog), April 5, 2017. https://medium.com/@designforsustainability/why-choose-transformative-over-sustaining-innovation-b59a2dc5bac1. Hassi, L., & Laakso, M. (2011). Making sense of design thinking. In T.-M. Karalainen, M. Koria, & M. Salimäki (Eds. ), IDBM papers (Vol. 1, pp. 51–62). Helsinki: IDBM Program, Aalto University. https://www.researchgate.net/publication/301293326_IDBM_Papers_V011. Cross, N. (1982). Designerly ways of knowing. Design Studies, 3, 221–7. See also Cross, N. (2006). Designerly ways of knowing. Springer. https://link.springer.com/content/pdf/10.1007/1–84628–301–9_1.pdf; Cross, N. (2001). Designerly ways of knowing: Design discipline versus design science. Design Issues, 17(3), 49–55; Cross, N. (2007). From a design science to a design discipline: Understanding designerly ways of knowing and thinking. Design Research Now, 41–54. Cross, Anita. “Design Intelligence: The Use of Codes and Language Systems in Design.” Design Studies 7, no. 1 (January 1, 1986): 14–19. https://doi.org/10.1016/0142-694X(86)90003-7. Cross, Nigel. Design Thinking as a Form of Intelligence, 2010. https://www.researchgate.net/publication/309822677_Design_thinking_as_a_form_of_intelligence. ———. “Design Thinking as a Form of Intelligence.” In DTRS8 Interpreting Design Thinking, edited by Kees Dorst, Susan Stewart, Ilka Staudinger, Bec Paton, and Andy Dong, 99–106. Sydney, 2010. http://bbcdcomdes.weebly.com/uploads/1/1/8/6/11866691/dtrs8_proceedings.pdf. Lackéus, Martin, Mats Lundqvist, and Karen Williams Middleton. “Opening up the Black Box of Entrepreneurial Education.” In 3E Conference, 23–24, 2015. http://bit.ly/2F0YhXd . Greene, Patricia. “A Global Consideration From Practice to Policy Around the World.” www.wise-qatar.org. Accessed February 13, 2018. https://www.wise-qatar.org/2015-wise-research-entrepreneurship-education; Babson College. “THE WORLD IS LEARNING HOW TO EDUCATE ENTREPRENEURS.” Accessed February 13, 2018. http://www.babson.edu/news-events/babson-news/Pages/2015-babson-scholars-present-new-entrepreneurship-education-research.aspx. McCarthy, Dan. “The Future of New Hampshire.” New Hampshire Magazine. http://www.nhmagazine.com/January-2018/The-Future-of-New-Hampshire/. Jones, Colin. Teaching Entrepreneurship to Postgraduates. Cheltenham UK ; Northampton, MA, USA: Edward Elgar Pub, 2014; Jones, Colin. 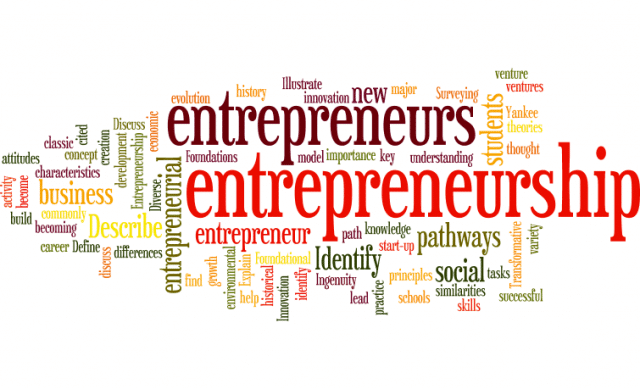 Teaching Entrepreneurship to Undergraduates. Edward Elgar, 2011. https://www.e-elgar.com/shop/teaching-entrepreneurship-to-undergraduates; Jones, Colin, Kathryn Penaluna, Andy Penaluna, and Harry Matlay. “Claiming the Future of Enterprise Education.” Education + Training 56, no. 8/9 (October 31, 2014): 764–75. https://doi.org/10.1108/ET-06-2014-0065; Maritz, Alex, Colin Jones, and Claudia Shwetzer. “The Status of Entrepreneurship Education in Australian Universities.” Education + Training 57, no. 8/9 (October 2015): 1020–35; Breslin, Dermot, and Colin Jones. “Developing an Evolutionary/Ecological Approach in Enterprise Education.” The International Journal of Management Education 12, no. 3 (November 1, 2014): 433–44. https://doi.org/10.1016/j.ijme.2014.05.010; Jones, Colin. “Contemplating an Evolutionary Approach to Entrepreneurship.” World Futures 62, no. 8 (2006): 576–594. Burnett, Hermina. “Designing and Implementing an Undergraduate Course in Entrepreneurship in Australia Using Experiential and Problem-Based Learning Techniques.” Training & Management Development Methods 22, no. 5 (2008): A75. ; Burnett, Hermina HM, and Adela J. McMurray. “Exploring Business Incubation from a Family Perspective: How Start-up Family Firms Experience the Incubation Process in Two Australian Incubators.” Small Enterprise Research 16, no. 2 (January 1, 2008): 60–75. https://doi.org/10.5172/ser.16.2.60. ; Burnett, Hermina, and Adela McMurray. “Exploring the Influence of Communication on Innovation and Readiness for Change in Small Business.” Journal of New Business Ideas and Trends 2, no. 1 (2004): 1–11. ; Burnett, Hermina, Megan Paull, and D. A. Holloway. “Entrepreneurship and the Third Sector: Volunteering Practises in Not-for-Profit Organisations,” 2011. https://researchbank.swinburne.edu.au/file/96a70cb2-2300-43fe-997c-d38d2335be14/1/PDF%20%28Published%20version%29.pdf. Maritz, Alex. “Illuminating the Black Box of Entrepreneurship Education Programmes: Part 2.” Education + Training 59, no. 5 (May 9, 2017): 471–82. https://doi.org/10.1108/ET-02-2017-0018; Maritz, Alex, and Christopher R. Brown. “Illuminating the Black Box of Entrepreneurship Education Programs.” Education + Training 55, no. 3 (2013): 234–52. https://doi.org/10.1108/00400911311309305; Maritz, Alex, Colin Jones, and Claudia Shwetzer. “The Status of Entrepreneurship Education in Australian Universities.” Education + Training 57, no. 8/9 (October 2015): 1020–35; Maritz, Alex. “Enhancing Entrepreneurial Self-Efficacy through Vocational Entrepreneurship Education Programmes.” Journal of Vocational Education & Training 65, no. 4 (2013). https://www.tandfonline.com/doi/abs/10.1080/13636820.2013.853685. Aguirre Guillén, J. M., Torres García, A., & Giordano, K. (2010). Tecnológico de Monterrey. In M. L. Fetters, P. G. Greene, M. P. Rice, & J. S. Butler (Eds. ), The Development of University-Based Entrepreneurship Ecosystems: Global Practices (pp. 122–149). Cheltenham, UK ; Northampton, MA: Edward Elgar Pub. Yuen-Ping, H., Singh, A., & Wong, P.-K. (2010). National University of Singapore. In M. L. Fetters, P. G. Greene, M. P. Rice, & J. S. Butler (Eds. ), The Development of University-Based Entrepreneurship Ecosystems: Global Practices (pp. 122–149). Cheltenham, UK ; Northampton, MA: Edward Elgar Pub. Allen, K., & Lieberman, A. (2010). University of Southern California. In M. L. Fetters, P. G. Greene, M. P. Rice, & J. S. Butler (Eds. ), The Development of University-Based Entrepreneurship Ecosystems: Global Practices (pp. 122–149). Cheltenham, UK ; Northampton, MA: Edward Elgar Pub.